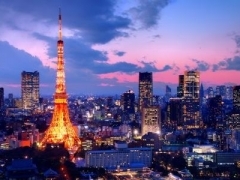 For $698 per pax, you get a 4D3N 4-star Hotel Metropolitan Tokyo Stay and 2 Way Japan Airlines Flight (worth $1188). Jet off to the Land of the Rising Sun and encounter all things kawaii. Hop off the subway and let your inner fan boy (or fan girl) run wild at Akihabara, also known as Tokyo’s Electric Town. Stock up on the latest technology, from sophisticated cameras to intricate gaming devices that will send the likes of George Lucas on a run for his money. Anime and cosplay enthusiasts, find yourselves at home with tons of merchandise facing you at every turn, be it a limited edition figurine or an elaborate cosplay outfit that’s just screaming to be carried home to your wardrobe. While you’re in geek paradise, do treat your senses to the full Japanese experience. Take a walk off the beaten track and dine in one of Tokyo’s many street stalls, each and every one offering a delectable serving of ramen, sushi, and more. If you’re in the mood, why not check out Akihabara’s famous maid cafes, where giggly girls in French maid getups dish up food and company with an oh so cute twist? Next, conquer one’s peak with a day trip to Mt Fuji. Scale to the highest point in Japan and be rewarded with a breathtaking view of this truly unique country where old meets new, and East meets West to form a perfect blend of cultures. Don’t forget to take your camera along.